Old Songbird Robins in Snow Graphic! Today I’m sharing this Old Songbird Robins in Snow Graphic! 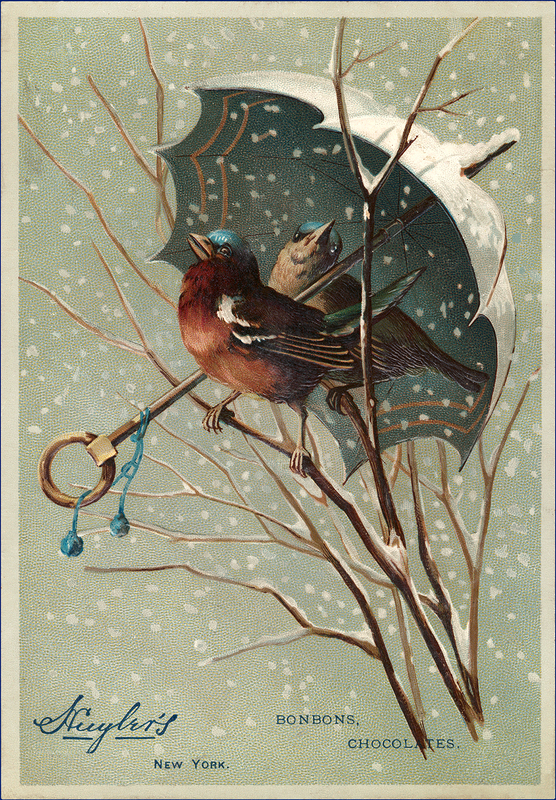 In this New York BonBon Candy Advertisement, a male and female American Robin sit under an ornate white and teal umbrella as snow swirls around them. 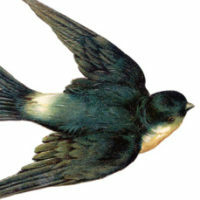 Sitting on bare branches, he has a beautiful reddish rust chest and she is grayish tan. Both have an aqua spot on their head. This image goes with Goldfinches in the Snow. So nice to use in your Winter Craft or Collage Projects! « Vintage Cute Child in Native America Costume Drawing! Thanks for the lovely vintage card image.